Philip S. Wartenberg - Tampa Full-Service Law Firm | Allen Dell, P.A. 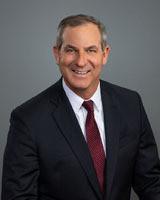 Philip Wartenberg is a shareholder with the law firm of Allen Dell. Mr. Wartenberg is Board Certified in Marital and Family Law by the Florida Board of Legal Specialization and Education. He confines his practice exclusively to Marital and Family Law matters. Published numerous articles and presented or lectured to multiple groups on various family law-related issues throughout the state.